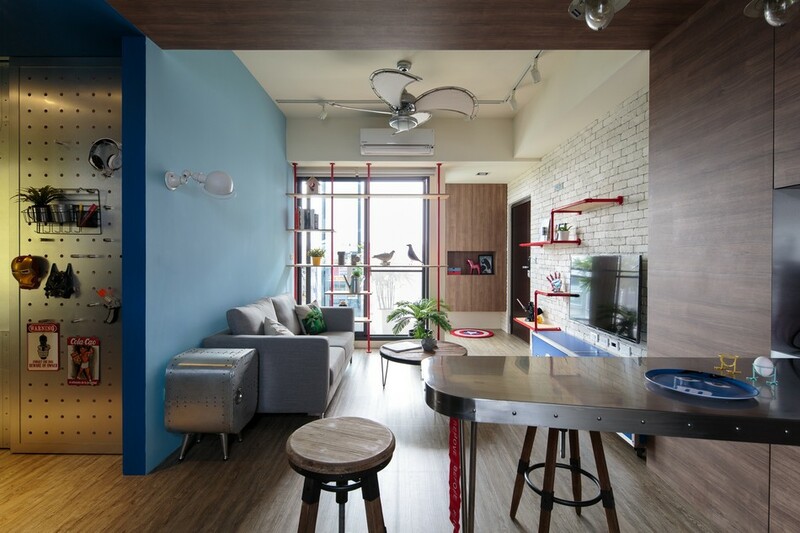 HAO Design gave their clients’ traditional 2.5 story home in Pingtung City a minimalist makeover. The finished design, called Blank, has a light and airy feel due to its large windows and open mezzanine. Moreover, white walls and an uncluttered interior make the space feel even larger than its 1700-square feet. The mezzanine space has only a few pieces of carefully chosen décor. HAO Design selected a desk with pops of turquoise and three beautiful stones in varying shades of light gray. Downstairs, the design team opened up the space by pulling its wooden block staircase to the back of the house where the original kitchen had been. The new kitchen has open storage on floating shelves and just a few cabinets, showing off the residents’ minimalist lifestyle.